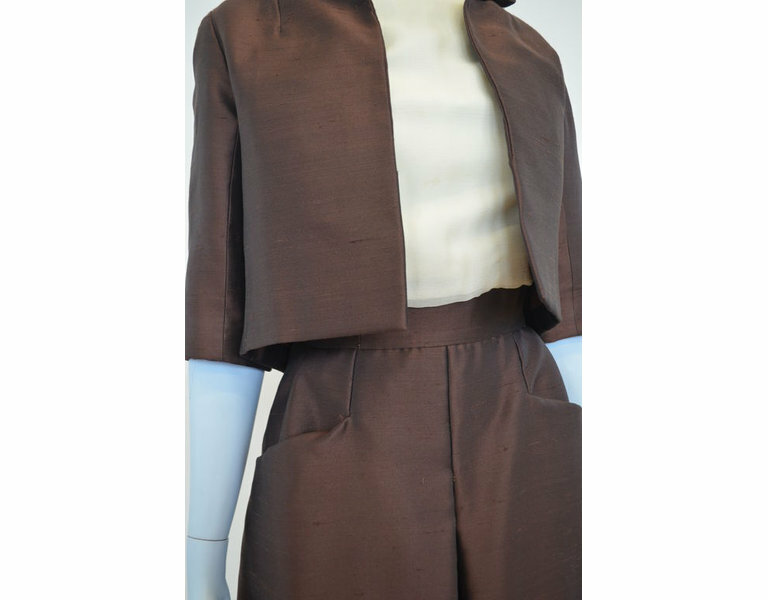 The short jacket has three quarter length sleeves and a small collar - it is worn open and has no fastenings. 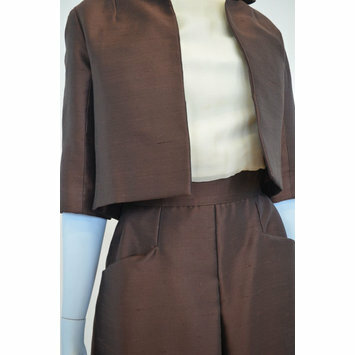 In dark brown silk with brown lining throughout, the hem is weighted at fronts. Sleeveless top with high round neck in off-white chiffon lined with white silk. 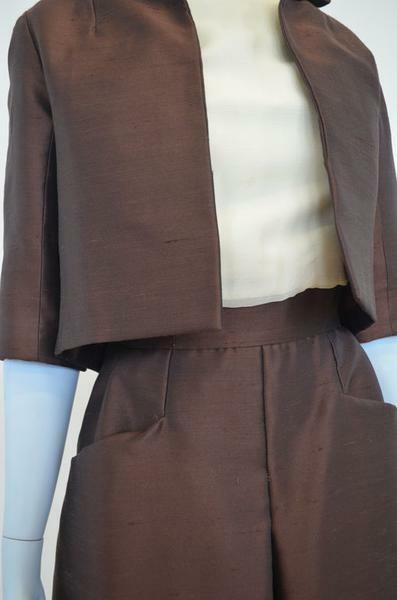 ‘A’ line skirt in dark brown silk with an inverted pleat down the centre front. It has a broad waistband attached to a white silk petticoat top. Skirt has front pockets at the hip line. It fastens at centre back with hooks and eyes an a zip. There is also a curved belt in dark brown silk lined with brown suede.